for your souls priorities in 2019 directly from Sonia. I’m halfway through this course and really like it! It’s different than a lot of other courses on this subject and actually gets you thinking. I love the course! Sonia’s grounded, warm presence on the videos gives me so much trust and confidence on my abilities to manifest my heart’s desires. Also, the clear, short steps are easy to follow and easy to accomplish in my daily life. In addition, I was very grateful for the mini email reading which gave me understanding and clarity about my situation and much support and concrete advice for reaching my heart’s desires. Just what I need at this moment! I went through this process 12 years ago and completely changed my life. This feels like another transitionary time requiring another go around. My first desire manifested before the 3rd weeks classes were over. No on to a desire that seems more illusive to define. I have total faith that Sonia’s suggestions, principle and reminders will motivate and inspire me. Thank you. Peace. Loved it! I’ve learned so much from this course and find Sonia’s teaching style very enjoyable. Thank you! I’ve only scratched the surface on this course as well as the exercises in Sonia’s book – Your Heart’s Desire. I want to absorb in depth because I’ve made some powerful intentions this year and I know this course will keep me on track. Sonia is a delight! Such a quiet presence… yet fun to listen to on her “live” fb posts. I’m happy with my decision to take this course and would highly recommend it to anyone who feels stuck in the throes of life. The music vignettes that accompany each lesson are also gentle reminders of the points we are to remember as we go through our day. Thank you for this insightful course! I have worked trough the first 2 weeks and I had to pause the program. Not, because it is not good enough, the direct opposite is true. There is an exercise called “diving for gold” in which you ask “God” or your guides what would be the best way to manifest your desires. I have done it once and the answers I got were mind blowing! I am actually writing my book now and am about to publish it soon. 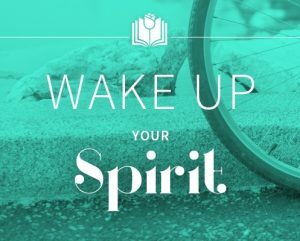 The exercise opened up my spirit to the extent where I was able to believe in my book project and more important begin to see all the opportunities I have to make it happen. The reason why I had to pause the “creating your hearts desire” online course is, because I am writing and about to publish my book! For what I have experienced so far I can only recommend this course. If you are truly looking forward to manifest your hearts desire and take this course serious, you will see the results. This course is has been brilliant so far. I’ve just started and I am looking forward to learning more as I go. I am up to listening to your heart and that has been a real eye opener for me. Who would have thought that my heart desires to swim with dolphins! I certainly wouldn’t have thought of that! I like the way that the course has been broken down into sections and you can choose different formats to do the course in. I also got a free mini email reading from signing up to the course and considering how little Sonia knows about me the accuracy of the email reading just blew me away! 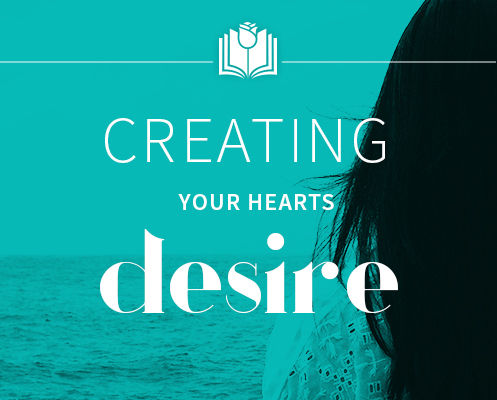 A step by step guide to manifesting your hearts desire. Sonia offers a clear and practical step by step guide to manifesting your hearts desire. Delivered in very well presented bite size chunks. The course has been eye opening for two reasons. Firstly the sheer volume of content- real value- and secondly the seemingly almost perfectly tailored home page. As someone with a big imagination- more interaction – as decisions are made along the journey, would be wonderful. That said- I am finding the ‘believing eyes’ !! Happy to recommend a 5 star. I want to say that this course is VERY well articulated and super easy to understand. It is designed to help anyone , no matter where they are in manifesting their dreams, goals, and life, to target exactly what it is they want and to get it. Sonia is filled with such great energy and love that the way she teaches this course makes you really feel great while you are doing it. I highly recommend this course. Actually, I recommend ALL of Sonia’s books and courses. She is really, truly, a light worker and is really an angel in disguise. 🙂 Thank you Sonia for such great courses! It arrived a little later than expected. Review on Hearts Desire Course. I am only a quarter of the way through this course and thoroughly enjoying it.I like how it is broken down in small sections and is very easy to understand.Thankyou Sonia for bringing these gifts to us.I will be doing more courses in the future.Kind Regards Gloria. The reason I bought this is that I wanted a step-by-step approach, and I am being careful not to go to the next video before I’ve done the previous assignment. I’ve been in the New Age for years, and I know this material already (! ), but the truth is, I don’t apply it. This course is helping me to get serious. It has already changed my game. Thank you! I have only begun the course as Sonia said to take the time recommended to do this course. Yet in just the first few lessons that were asking me to think of WHAT I DO WANT to create she has got my mired down stuck wheels turning once again. This whole week has seemed better and different and all because she got me to be able dream and focus on what I DO WANT instead of being stuck where I have been. I look forward to moving on with the course and will be happy to review it again at the completion. Love The Way Sonia Teaches! I love the way Sonia teaches. She explains everything in a simple and down to earth way. For me it is the first teacher who explains the basics of how to create things in life. First we have to watch very close on how and what we create in the moment . I really can work my way through all my blockages with her help. Seeing clearly what’s in my way. Erase old patterns. Train new ways of how thinking and preparing myself for what I want to come in my life now. Had some little successes by creating small hearts desires. Working on the bigger one. But more important for me is to sharpen my sight on how I’m going through my life and how to improve it. And the best thing is, every time I listen to an exercise I’ve gone through before, I discover some new informations. The course is well structured and the exercises are not too Long, so it’s possible to go little steps. Thank you for such a good course. Hope to see her soon life again. Halfway through the program….I love this step by step process, not too overwhelming…I plan to listen to it all over again to really integrate the elements Sonia teaches…I like her calm and reassuring demeanour! Thank you again! This is how to create! I have looked forward to watching every single video with excitement at what Sonia will teach me next! and I am nearly finished. I love that Sonia shares it all. The insights to the psyche and understanding how & what my efforts should include in meeting the universe half way for the universe to assist in cultivating my dreams with me. In depth short videos get you on the path you REALLY want to be on and staying on it! with an OPEN awareness. I thoroughly enjoyed the 2 audio ‘Attunements to Creating’ with all my being. Thankyou Universe for bringing me Sonia! I just finished this course. it was really great to came across such a wonderful course. Very simple tips yet very effective. If you follow the instructions fully and write your workbook faithfully, you are definitely going to succeed. Much thanks to Sonia! Sonia has done it again. Creating your hearts desire is so enlightening, inspiring and it really works! Although I knew about the law of attraction and already read a number of books about it, Sonia’s course has guided me in taking the steps to make it work. She points out the most common mistakes people make when we are trying to manifest things and gives advise that works and I have never heard before. It is so re-freshing to be able to make a Universal Law like the aaw of attraction work for me. My heart is singing. Thank you Sonia, you are a Gem and I am eternally grateful. I’ve been enjoying listening to Sonia’s videos at the end of the day. I’ve been journal writing for a number of year and started reading Sonia’s books then checked out the courses. I was amazed at all the information in this program. I love the music, and audio mini stories/information, plus of course the videos. I found the meditations to be extremely relaxing and calming. It’s a wonderful course, I’m extremely happy I’ll be able to listen to everything as many times as I wish. I’m excited that there is a set by set way to achieve creating what I want my life. I bought this course last year and it was such a defining moment in my life! 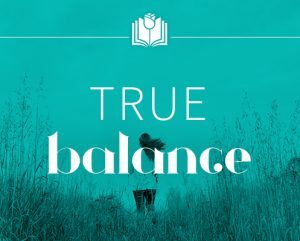 Sonia’s mini reading provided me a lot clarity and encouragement to manifest my heart’s true desires, and the course itself is simply wonderful – it also provided great structure for my work. I can’t recommend this course enough. I still revisit Sonia’ mini reading – it’s still guiding me after a year! Excellent Way to Begin a New Year anytime! I am just getting started with the Creating Your Hearts Desire course, but already I can tell the content and quality are excellent. Sonia’s way of explaining things is awesome and it’s a pleasure watching, listening and taking notes. I have several of her other courses as well, and loved them all. I can’t wait for another card deck course. I can’t remember how I discovered Sonia Choquette. Immediately I was drawn to her. I’ve signed up for the newsletter and also I’ve sent a message to her as suggested on her web page! Immediately they’ve sent me a butch of free stuff! Wow! Then I started to buy her books (ask your guides, trust your vibes, true balance, creating your hearts desire)! Each one was better than the other! No that’s not true, they are all awesome and fantastic, and I try to read them all at the same time! And then I got this course. The books are fantastic but the course is actually something else. It is awesome! I never expected it would be so uplifting! Just watching Sonia deliver the course is soooo uplifting, that alone makes it worthwhile for me! Sonia explains everything in a down to earth, logical, friendly way! The way she delivers the course is easy to follow with down to earth explanations that make sense and examples drawn from everyday life..With the course you can’t cheat and miss a step (with the books this is easier)! And you get more explanations and exercises which are really easy and fun to do! Her warmth, passion and gentle guidance is very inspiring! She is very inspiring! I am only on the first week where one is guided to find what one’s heart really desires and it is proving to be a real eye opener. I am stuck but I know what to do to move on! I am really glad I got this course and I am very very grateful I’ve discovered Sonia Choquette! Thank You! I have read the book but this video program is exactly what I needed to push me into action. To see Sonia speak about the principles in person and all the extra exercises she gives which aren’t in the book, makes for a very effective program. There is a whole week on finding out what your heart’s desires are, which has always been the most difficult part for me. The book is fantastic but this program gives more clarity and depth to the process. Week 4 was the tipping point for me, I realized how much more motivated I was to take action after watching the videos. I highly recommend this program. It is worth every cent & I know I will be using it time and time again until the principles become automatic. I love this product! Sonia’s 6 minute mentoring videos and wisdom flashes are fun, to the point, and easy to follow. Her teaching style is energetic, warm, intuitive and motivating. The Hearts Attunement CD is incredibly effective, and I’ve used it nearly everyday since I received it. The consistent repetition of healing, motivational messages, vibrations, and music make this a truly effect way to create your hearts desire. I feel a real shift. Thank you.